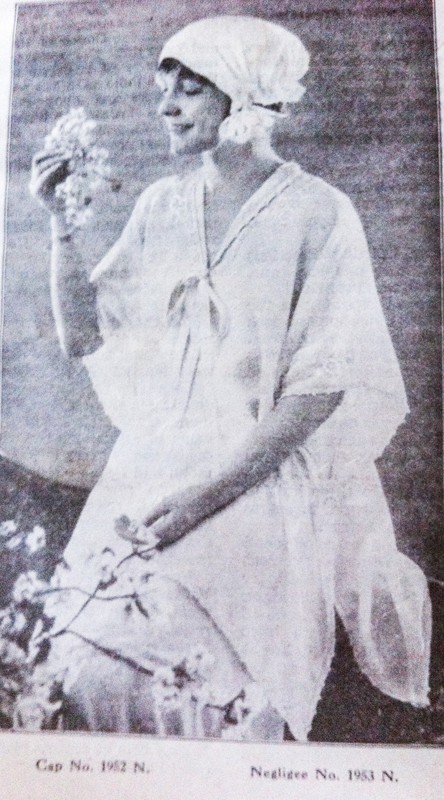 This alluring, negligee ensemble is modeled by the lovely Violet. It is a must for every new, blushing bride. Order it now so you can add it to your Hope Chest. Don’t miss out on any of our exciting lingerie ideas in our latest Needlecraft Magazine. When does a WIP become a UFO (Unfinished Object)? I guess I should admit that the afghan I started in 1996 is officially a UFO and not a WIP as previously reported on the April 6 post. This was such an easy pattern that I can remember it almost 40 years later. Repeat rows 1 – 4 until length you want. This Sock Pattern Is Much Better! 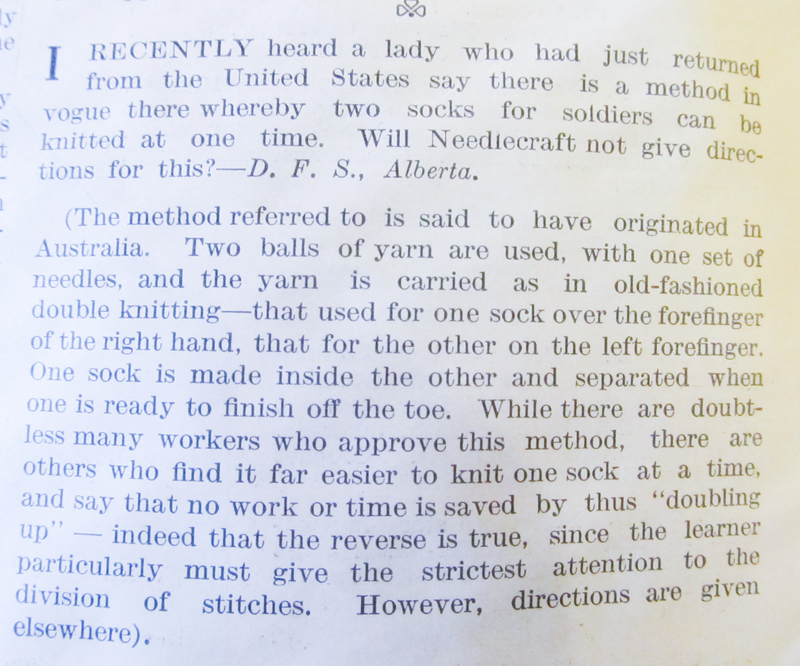 In the May 1919 Needlecraft Magazine the following “Answered by the Editor” letter caught my eye (typed as in magazine). “Will you kindly give directions for the “brayo” stitch – am not sure about the spelling—in knitting? Have looked through all my papers but cannot find it. –M.M.P., Massachusetts. This caught my eye since we posted a blog about our Brioche Scarf project and the problems we had “deciphering” the instructions. The “yarn forward” is what newer knitting terms calls “yarn over”. 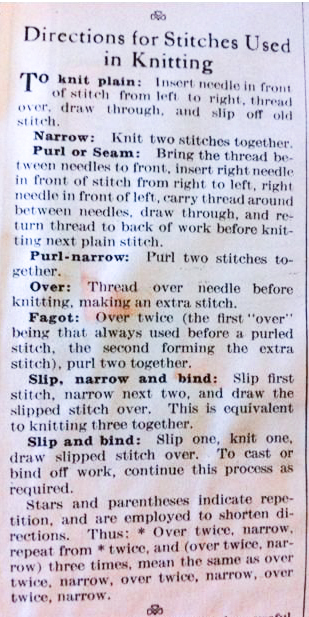 The “information regarding very new stitches” made me wonder if this was a new stitch at the time the magazine was published in 1919. I turned to my much loved books.google.com and typed in brioche stitch. There were hundreds of results. If you haven’t used this wonderful tool to look-up information in non-copyrighted books run now and use it. That is, after you’ve read this post. 😎 There are others, this is just the first one I used back in the day. 😎 You can download most of the following books mentioned in the post for free. 2001 – Hook & the Book: The Emergence of Crochet & Knitting in American Popular Culture, 1840 to 1876 By Nicole H. Scalessa, published 2001. 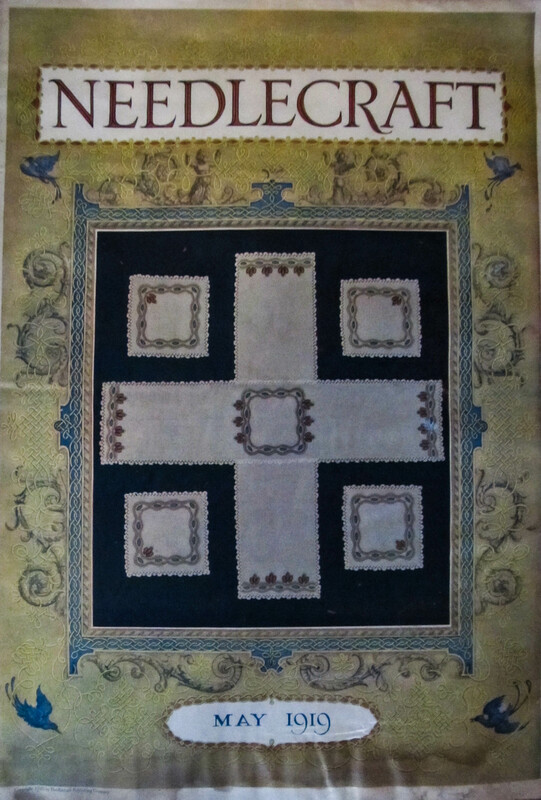 1840– The Ladies’ Knitting and Netting Book, First Series, by Miss Watts. I could not find the term Brioche in this book, but I did find instructions listed for a stitch under “Stitches for Purses” which in her Second Series book was used to knit a Moorish Brioche or Cushion. 1840— Knitting and Netting Book, Second Series, by Miss Watts. On page 103 is a pattern for Moorish Brioche or Cushion. At this point the stitch was not called “brioche” it was just a stitch used to knit items including brioches or cushions. I found that this information is mentioned by Nancy Marchant the “A Brief History of Brioche Knitting” section of her Knitting Brioche book. I’d already found the information at Google Books and downloaded. Ms. Marchant said she tried to knit the pattern, but the instructions were incorrect. 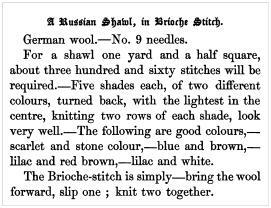 1843— My knitting book by Frances Lambert (embroideress.) p. 77. A Russian Shawl in Brioche stitch. Again, download the book for free. 1869 — The Young Housekeeper – In a glossary of terms (found in quite a few other sources) Brioche stitch – the number cast on for brioche stitch must always be divisible by three, without a remainder. Bring the thread in front, slip one, knit two together. It is worked the same way backwards and forwards. 1855 — Treasures in Needlework, by Mrs. Warren and Ms. Pullan. Download book for instructions for Spanish Polka for a child 2 to 3 years old done in brioche stitch. 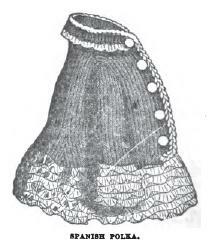 This exact pattern was in 1855 Peterson’s Magazine, Volumes 27-28 by a Mlle. Defour. I did find that there seemed to be the exact same patterns in books by different people. When did copyright laws begin? “Queries: Patent Knitting: Will the contributor of the recipe for baby’s shoe in Exchange and Mart for Aug 23 explain the term patent knitting as I am totally unacquainted with it –Elinore (The Germans call the brioche stitch patent knitting probably because it is so much imitated in woven things The detailed directions given for the first eight rows show this –The Contributor)” Note: the wasn’t a pattern for the first eight rows to see what “The Contributor” was talking about. Cast on 36 to 40 stitches and knit plain or any fancy patterns for two yards in length. 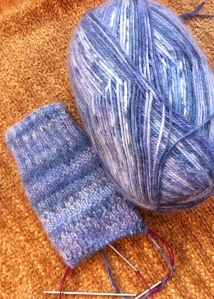 Brioche stitch: make 1, slip 1, knit 2 together, is a good pattern, with two plain stitches at each side. 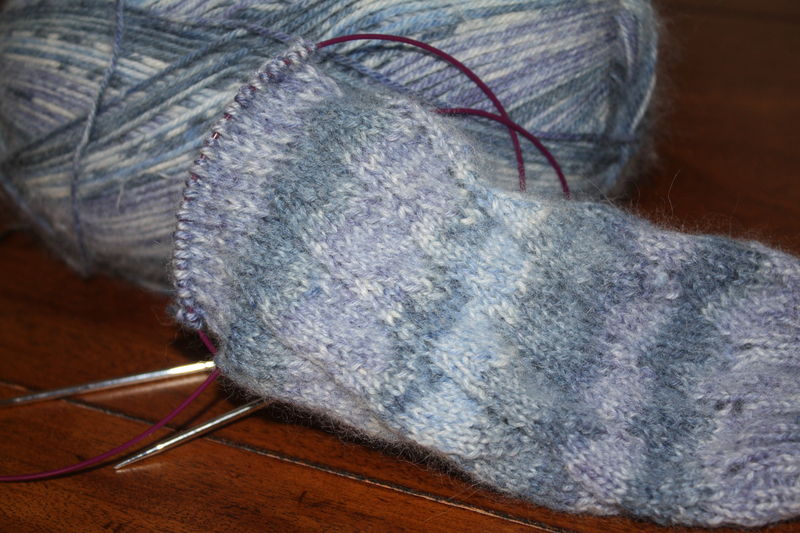 Woolen Wristers. Gray Scotch yarn. Notice the difference in this stitch instructions; make1. The last excerpt I saw was about Miss Lambert in Victorian Lace Today by Jane Sowerby. I just happen to have that book. Starting on page 40, she has a section on Miss Lambert. 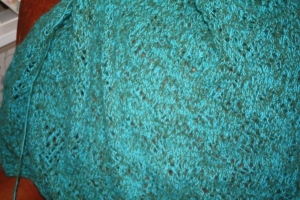 Mentioned is Miss Lambert’s Russian Shawl in Brioche Stitch which I have shown above. Now the Brioche Stitch history is wrapped up. It wasn’t a new stitch in 1919. The books and articles I’ve included are just the tip of the tip of the iceberg! 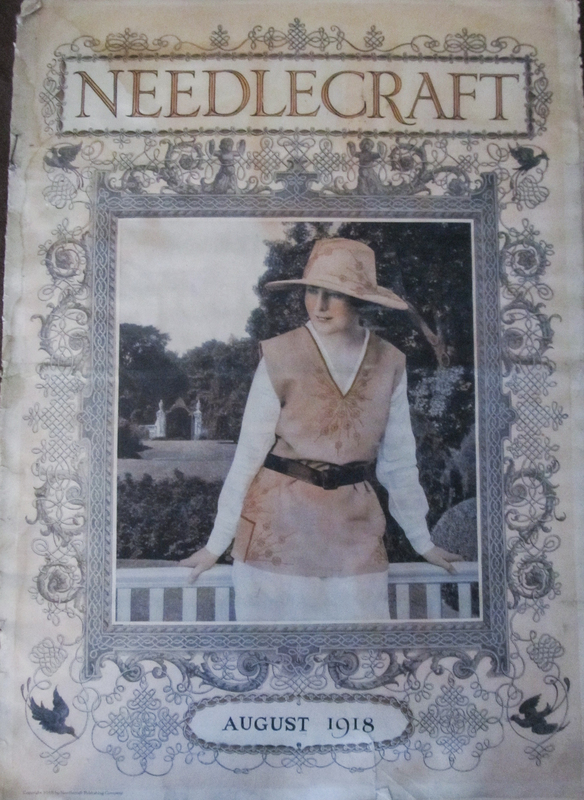 While “babysitting” mom, she informed me that my sister Lindsay had a stash of old Needlecraft magazines. Hurray! There were about 40 old magazines dated from August 1918 to December 1928! 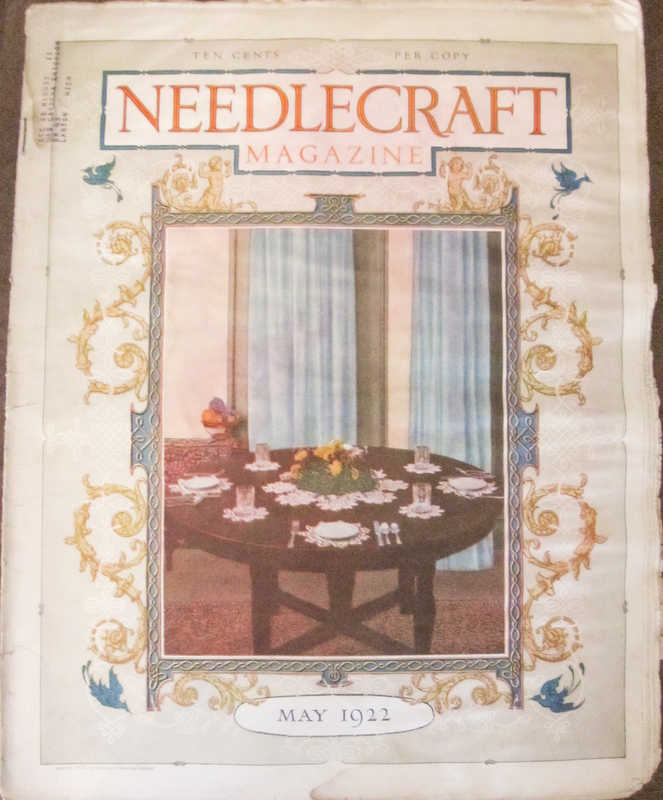 The Needlecraft Magazine was published monthly by the Needlecraft Publishing Company, Augusta, Maine and New York, N. Y. We went out to the storage building and carried them in! The covers alone were works of art. 😎 Art Deco was in style during the 1920’s, that was evident in the magazine covers and artwork. That is one of my favorite art and architectural styles. The magazine are quite large, size 10″ x 13 3/4″. About the size of the old Life magazines. I found that an on-going theme through the issues was that of “filling one’s hope chest”! 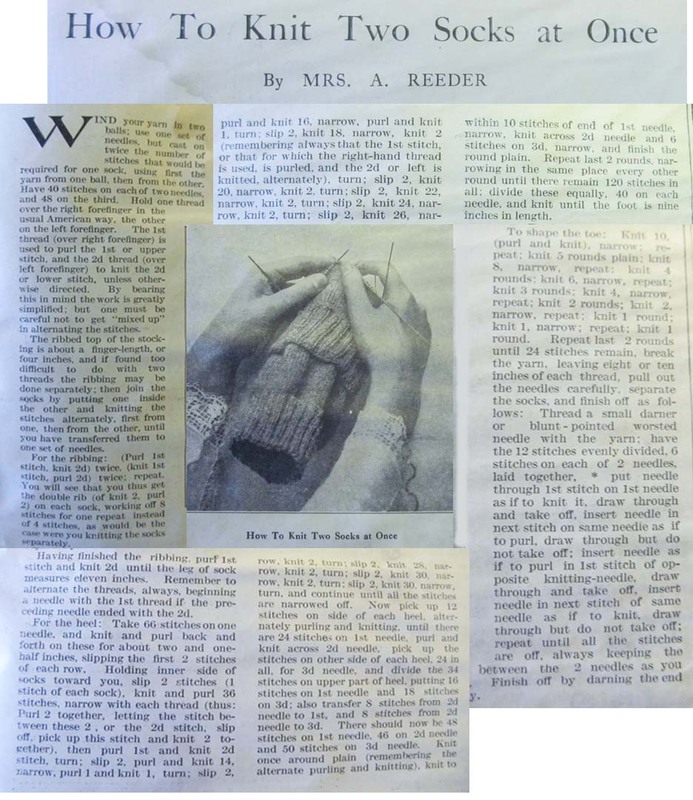 😎 Time and time again the editorials addressed the fact that young women needed to sew, knit, crochet for their hope chest. Letters to the Editor also addressed the Hope Chest. As you can image, the magazines were not in pristine condition. I went through every magazine and took hundreds of pictures. 😎 I tried to scan parts, but the scan came out worse than the camera pictures. I would say that the vast majority of the patterns were filet crochet! The majority of the projects were for household use: centerpieces, luncheon sets, library sets, and water sets. Every thing a young bride would need to set-up housekeeping “properly”. I will be sharing some wonderful information from the magazines throughout the next months. As an opening introduction to the magazine is a poem which was published in the May 1919 issue. The cover shows an example of a luncheon set. Look at the Art Deco style. The center part is draped over the table and the napkins are in the four corners. Such pleasant things to do! The whole of each day through. You push your needle through.